It's only one more week until Bob Dylan's 70th birthday! 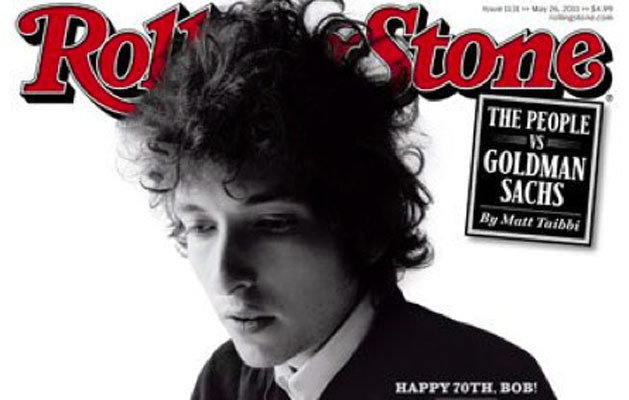 Bob Dylan was born Robert Allen Zimmerman on May 24, 1941. To mark this anniversary, Rolling Stone magazine has compiled and published a list of 70 greatest songs based on an opinion poll. Now you can select your very own favorites and take a look at the Top Bob Dylan songs as selected by the fans on the the Dylan song rating website tweedlr.com. You can also post your comments on each individual song, browse by album, or find any other officially released song that is not listed yet. Submit your ratings now and push your favorite songs up to the top!